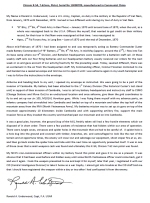 Details about the adoption of Ronald A. Underwood's two children, Ronald Jordan Underwood and Kristiana Underwood. 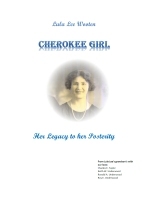 Cherokee Girl was written about the life and success of Lula Lee Wooten by her grandson, Ronald Alwyn Underwood. 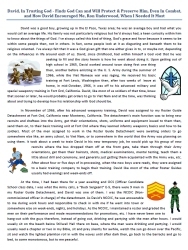 Account of how Captain Underwood obtained a trophy pistol while on duty in Viet Nam and his fascinating testimony about how God protected him with instructions on a tape recording sent by his Pastor, Rev. J.C. Hibbard. 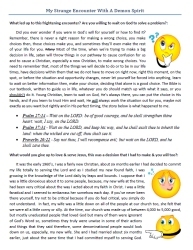 Testimony by Ronald A. Underwood of his prayers answered when he asked God for answers and information and the positive results concerning one of his co workers. A chronology of the ministry of Ron Underwood in Germany and Viet Nam that started as a Bible study in his apartment while in the U.S. Army stationed in Germany that later grew into several hundred members. 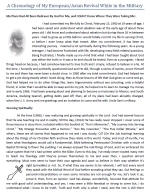 He also gives testimony of how God blessed his Vietnamese ministry while he was stationed in Viet Nam. 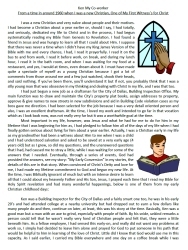 Account of Ronald Underwood's experience with a demon possessed woman. Amazing testimony of the creative miracle that God performed regarding Ronald A. Underwood's daughter, Khrissy Underwood. Google Books perserved the copy of this book which mentions Elder John Hibbard many times. Sister Abigail Hibbard is Elder John's wife and at the end her name is mentioned as Abigail Denison. She remarried Samuel Denison sometime before July 1806. 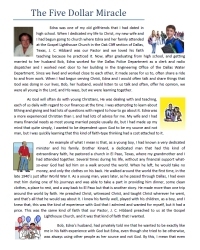 Testimony of a miracle performed by God in the life of Ronald A. Underwood and witnessed by several people. A story of what happened when Ron & June Underwood witnessed to a Hindu Family in 1991. 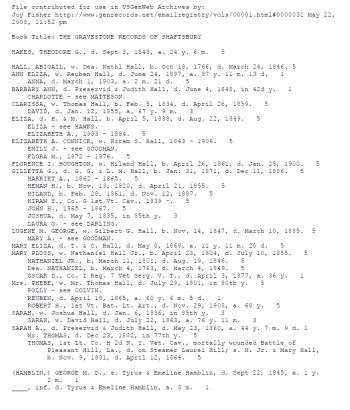 Document that reveals approximately when Paul Millard and his sons, George, Nathaniel and William moved to Sullivan, WI. Paul is lsited on the 1850 census but it seems they acquired their land in 1848.